Having to starve and eat less because you don’t have enough money is a sad thing in life. If you are hungry and overcome by hunger pangs all the time, it is hard to concentrate on your task. If you have hunger pangs while dieting, the condition is brought about by your choice. But if you have hunger pangs because you are poor and do not have enough money to buy food is because of your circumstances. In recent weeks, news of university students having to starve or eat less due to financial constraints has been making the headlines in Malaysian newspapers. I pity these students. Trying to keep up with the tough university studies even with a full stomach is already hard. Just imagine the agony of having to study hard with an empty stomach! Most of these students, it is learned, are from the bottom 40 per cent (B40) income group. B40 refers to households with monthly income of RM3,900 and below. I salute these poor students for their determination and courage to further their studies and get their degrees even though their parents may not have enough money to fully support them. These wise young men and women know that education can break the cycle of poverty in their lives and improve their future and the future of their immediate families. I salute also the caring Malaysians who noticed the plight of these poor starving university students and bring it to the attention of the government. Because of these caring Malaysians, the rest of us now also know about their plight. It is heartening to note that concerned and kind Malaysians in Malaya, especially Penang have stepped in quickly to help students at public universities there. A few days ago, Domestic Trade and Consumer Affairs Minister Datuk Seri Saifuddin Nasution Ismail officiated at the launch of “Food Bank Siswa” programme at Universiti Teknologi Mara (UiTM) Penang (Permatang Pauh campus) in Bukit Mertajam, Penang. Saifuddin said through the programme 800 students from UiTM Penang Permatang Pauh campus and 200 students from Seberang Perai Polytechnic were eligible to receive assistance from Food Bank Malaysia. The minister also revealed that the Malaysian Islamic Business Association would be the main contributor of food aid to the food bank at public institutions of higher learning besides donating a van to Mutiara Food Bank to launch the implementation of the programme for students in Penang. Eleven restaurant operators in Penang collaborated in the programme at UiTM Permatang Pauh campus. 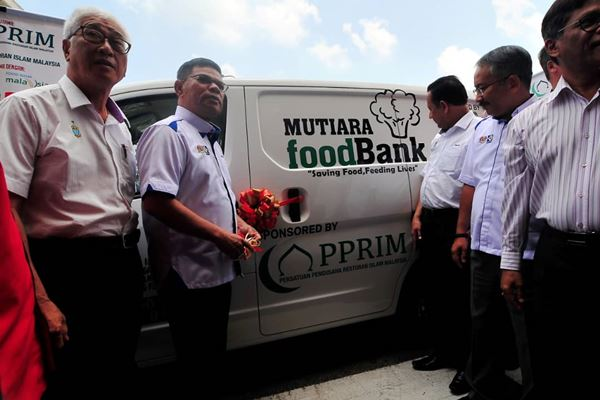 According to Bernama, the national news agency, the food banks at university campuses were launched at the Faculty of Medicine, Universiti Kebangsaan Malaysia, University of Malaya and Universiti Putra Malaysia recently. Saifuddin said the food bank would be extended to Sabah and Sarawak in the near future. That is good news for hungry university students in the two states. In a random survey conducted by the New Sarawak Tribune a few days ago, many parents with children in universities gave the thumbs-up to the government’s initiative to provide university students with free meals and accommodation. Indeed, most of us consider ourselves blessed if we have a roof over our heads and food on our table. If you are born in Sarawak and you are a student at a university outside the state, you have to look for your accommodation and places to eat. You cannot study well if you don’t have a place to stay and if you don’t have enough to eat. This is in spite of the Higher Education Fund (Perbadanan Tabung Pendidikan Tinggi National, PTPTN) loan from the government to pursue your university studies. When you are away from home, accommodation and food can cost a bomb and take away a big chunk of whatever little savings you have. However, when asked for his comment on reports of university students who had to starve because of financial constraints, Prime Minister Tun Dr Mahathir Mohamad said, “We will try. If we have a lot of money, we can give a full meal to everybody, but our money has been stolen. It is not easy to recover stolen money. The process will take ages. By then, the poor students will have graduated. Personally, I hope the Sarawak government and more corporate bodies will come to the fore to help starving poor university students in the state. If we know someone is starving in Sarawak, do we have to wait for Kuala Lumpur to send food to that person? Hard to study when you are hungry 0 out of 5 based on 0 ratings. 0 user reviews.